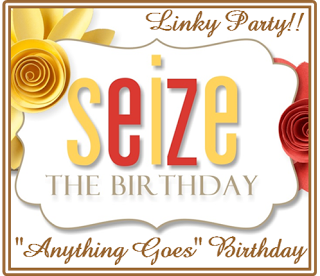 It's Seize The Birthday time, and for this challenge there's no topping. So, anything goes (as long as it's a birthday theme!). I'm entering this into Clearly Besotted's challenge - Anything Goes. 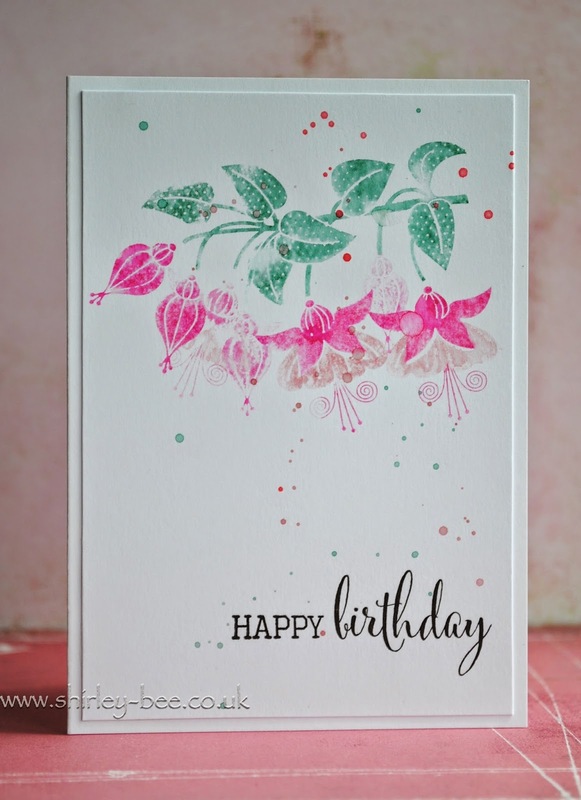 Pop on over to Seize The Birthday for inspiration from the rest of the team, and join in! Anita said exactly what I would say...soooo pretty, soft & dreamy! I love the polka dotted leaves! Gorgeous! Enjoy your day Shirley! This is SO pretty! Love the spattering!